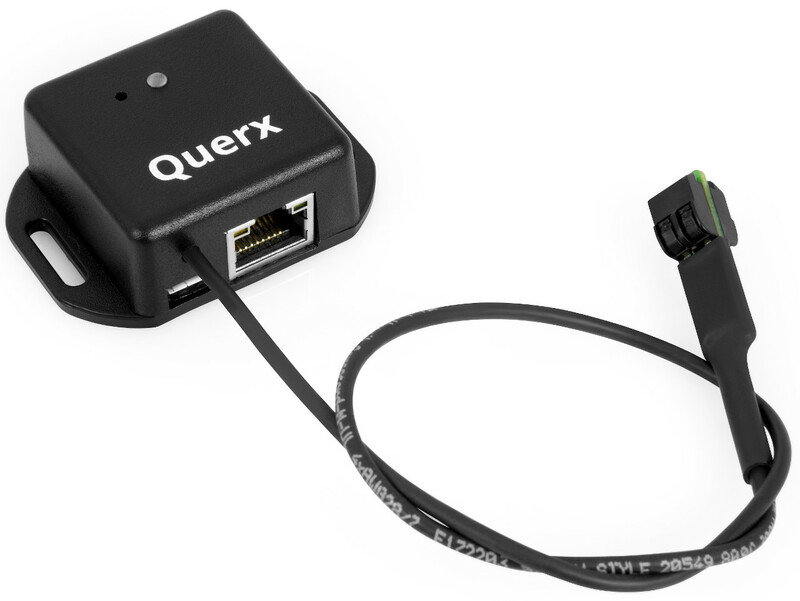 Querx TH has integrated sensors for temperature and humidity. They are oil-repellent, splash-water and dust proof. The unit's small dimensions allow installation even in confined spaces. Power supply for the Ethernet enabled web thermometer / hygrometer is done over a free USB port or using an external Micro-USB power adapter. Measurements and system time are stored persistently, and are thus still available even after a blackout. Configurable logging interval. Capacity: 73,728 records, 51 days (1/m) to 8,4 years (1/h). Data export as CSV and XML. Temperature/Humidity: too high, too low, rising too fast, dropping too fast. Dew-point: too high, too low. 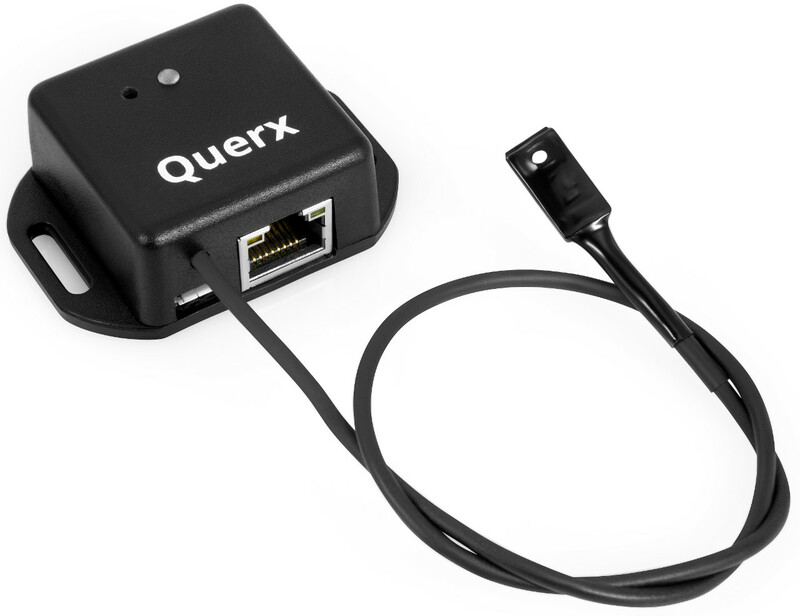 The Ethernet thermometer Querx PT supports any 2-, 3- and 4-wire Pt100 and Pt1000 temperature probes. The unit's small dimensions allow installation even in confined spaces. Power supply for the networking-enabled thermometer is done over a free USB port or using an external Micro USB power adapter. Measurements and system time are stored persistently, and are thus still available even after a blackout.